In a jolt to the chummy SANFL-football-icons-turned-caravan-promoters-community Neil Kerley has quit his post as a spokesperson for the quality but affordable leisure vehicles that are available at Noel’s. Onlookers attest that the ex-Woodville Woodpeckers star then neatly reversed the caravan to a parking space by the front office, just like a wizened Jim’s Mowing franchisee. After decades away from Adelaide, we welcome him home and await his work with Noel’s. And Malcolm, watch those bunkers on the 18th at Glenelg, an emu couldn’t escape them. Saturday night and with Blight, Kerley and TISM alumni, Humphrey B. Flaubert, Jock Cheese, Eugene de la Hot Croix Bun, and Ron Hitler-Barassi doubtlessly peering at the box (although probably not together) this fixture is underway. Crow-for-life Mitch McGovern grabs and goals to get us underway but such is my remove from yoof that I can’t read his Anchorman moustache. Is it authentic, ironic or post-ironic? PM me if you can help. For the Saints the aspirational housing developer’s dream Blake Acres (You’ll love coming home to Blake Acres) bends it too far at the other end. He’s lively early. While the Crows finished fluently last week they’re stuttering tonihgt. Meanwhile the wife is watching The Bridges of Madison County. I trust Clint’s getting a few touches. Young Saint Jimmy Webster (was he in Goodfellas?) is also strong in attack, but the home side isn’t capitalising on their possession. Cam Ellis-Yolmen looks impressive around the ball, and his big body adds some grunt in this Crouchless knickers onball division. Meanwhile, Acres continues to be given too much space. With daylight savings ended it’s dark at six, but still appealingly warm. I’m watching the game on a device on our patio, but somehow there’s more flies now than there were in January. I should light a mossie candle. I’d also have thought the Docklands seagull curfew to have passed but apparently not. 885 saints have been canonized by Pope Francis (2013–) during his pontificate and most of them (ignoring the five years after their death detail) have turned up to watch their eponymous side. There’s plenty of empty seats across the Docklands stadium so the miracle verification can continue apace. Tom Lynch again shows his crystal vision and quick kicking which results in a major. He must be in the first six picked, every week. What if next year there’s two Tom Lynches in one side? Speaking of such, how lucky are we to have had so many Nathan Browns play AFL in the last decade? Eddie finally opens his season’s account with a signature sequence of side-stepping and Sherrin-curling. With the earlier birth today of twin girls he’s had a surreal day in which life and footy have intersected in beautiful and complex ways. Then, a Richard Douglas goal is reviewed to a behind because, allegedly, a subatomic fingernail particle made contact with the ball for a zeptosecond. Clearly, the physics is beyond me, but I’m sure these decisions are made using the Large Hadron Collider (LHC). The second half starts and I wonder how Ron, Humphrey, Jock and co are. I wonder if Kerls is cooking some yabbies and how Blighty hit them today. Sweetly, I’m guessing. Don’t let me down, Bruce, gets one for the locals and they seem primed. But then the game again descends to the mundane, despite the clear nihgt. Like the final hour of a bikie wedding reception this is untidy stuff, until Betts gets it out the back to break the tedium. JB is settling into his new commentating role. I’d argue he’s better than BT or KB or DK or SK or BJ or VB. I duck into the boys’ room and coax the youngest to put down his latest Captain Underpants book (No, it wasn’t based upon a Saints’ end of season trip). He’s had a big day. During the denouement Eddie takes a hanger. The siren sounds. The kick’s skinny, and irrelevant. Sporting teams are rarely singular, and often present as splintered groups, but wearing the same uniform. Australian cricket is illustrative. Bradman’s leadership caused edgy subtexts between the Catholics and Protestants, while under Ponting and Clarke the dressing room was less camp fire cosy than front bar brawl. The Gold Coast Suns is a peculiar ensemble. In one corner, gathered in pre-bounce worship, there’s the Gold Coast Sons (of God). Led sermonically by Gazza, the son of another God, they’re a puritanical enclave. And in a night-clubbish nook, under strobing lights, with UDL cans and thin boundary lines of white powder (not the type used at ancient footy ovals) we’ve the Gold Coast Sins. This is our family’s first footy match. We’ve been back in Australia for a few weeks, and today our boys make their Mitani Chicken Salt Adelaide Oval debut. We take the Glenelg tram in. For the first time the Crows have three Rorys in their side, but Gold Coast jump early with two brisk goals. Kade Kolodjashnij gets the ball across to Nick Malceski, and I wonder how local commentator KG Cunningham might have managed that with his exotic pronunciation. Soon after the Crows find some fluency with a neat sequence of disposals and Walker gets us away. The scoreboard’s level at the break. Exploring the revamped Adelaide Oval’s eastern side I discover the Garry McIntosh Bar. In the pit of winter I once saw the iconic Norwood hard man in a Parade pub. Alone on a stool, wearing shorts, singlet and thongs, he looked as if he’d come from the cricket. He wasn’t having a drink, but a large cigar. I then cross the Graham Cornes Deck, and think it well-named given that there have likely been many who’d merrily deck Graham Cornes. The golden match-up of Tom Lynch v Tom Lynch hasn’t happened, but Betts is vibrant and slots the stanza’s first. Reminiscent of Nathan Burke with his black helmet, Rory Sloan provides his usual grunt. It’s a bright and breezy afternoon, and monolithic Sun Chaz Dixon then takes a contested, one-handed grab. But we have Charlie Cameron, a fleet fox in our forward line. Confidence growing, he runs onto a loose ball, collects it and converts. Our boys enjoy the footy. They clap and cheer and inhale food like Merv on twelfth man duties. 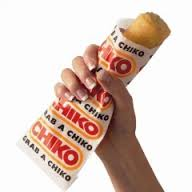 The wife gets a chiko roll. It’s disappointing. I think she’s right. Conceptually great, but ultimately an inadequate vehicle for bad cabbage. Some officiating decisions appear inconsistent, and the crowd boos like we’re at a Christmas panto. They have a point as you’d expect a better affinity between umpires Farmer and Hay. For the Crows Lever and Laird have been impressive in defence, against the Suns’ behemoths. In his breakout season Laird is magnificent. He’s a solid mark, and composed decision-maker. Jenkins goals, but he’s got the chassis of a Leyland P76, while under his bonnet is a misfiring lawnmower engine. Mercifully, at the other end Charlie Dixon line is astray, with his kicking affected by the swirling gusts. At three-quarter time we have a double substitution. Our youngest is done for the day, and he and his mum head to the tram. Both have played well. Sixteen seconds into the final period, Douglas dashes to half forward and with his deceptively long kick he goals. Harley Bennell has been good in his first game back, but yet again the loss of Ablett is telling. Without the son, the Suns are eclipsed. 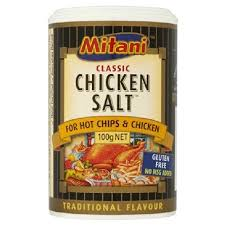 Young Crow Knight goals tidily to conclude the game, and just misses the Mitani Chicken Salt hoarding on the Riverbank Stand. If he’d struck it the entire crowd would’ve received a lifetime supply of chicken salt. After the siren we’re siphoned across the Torrens footbridge to the canary yellow tram. We’ve had a top afternoon in Row X of the Gavin Wanganeen Stand.